Am I Moving Forward? Career or Life Question? | Rick Whitted | Your Personal and Career Mentor. Am I Moving Forward? Career or Life Question? 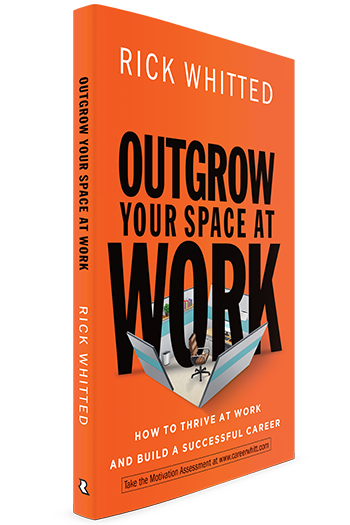 Since the release of Outgrow Your Space At Work At Work, I’ve received countless career questions by individuals all over the country. Regardless of where the inquiry starts, it almost always ends in a conversation about how to get to the next place or level in one’s career. There seems to be a large number of those that believe strong career progression is a panacea for life. Life is good if every couple of years I’m advancing at work. In most career discussions, I see a glare in the eyes, a deliberateness of tone, or firm facial expression that conveys intensity. But why are our careers so important? Why do they trigger such emotion? Why does life appear to be going so well when our careers are running on all cylinders? Yet, when our careers appear to be stuck, or going backwards, we feel like someone just broke up with us? There is no doubt our careers are important, but should it define how we feel about ourselves in a particular season in life? The American Psychological Association’s Stress in America study revealed that work creates stress in a higher percentage of American adults than does health and family responsibilities. At 60%, it is second only to work (64%). Also, the latest release from the Bureau of Labor Statistics shows that nearly 3 million people quit their jobs every month in this country. A statistic that has not changed much in two decades. It took me a long time to realize that I was using work to do something it was never meant to do—make my life complete. I was using work to give me something it was never meant to give—a sense of accomplishment. 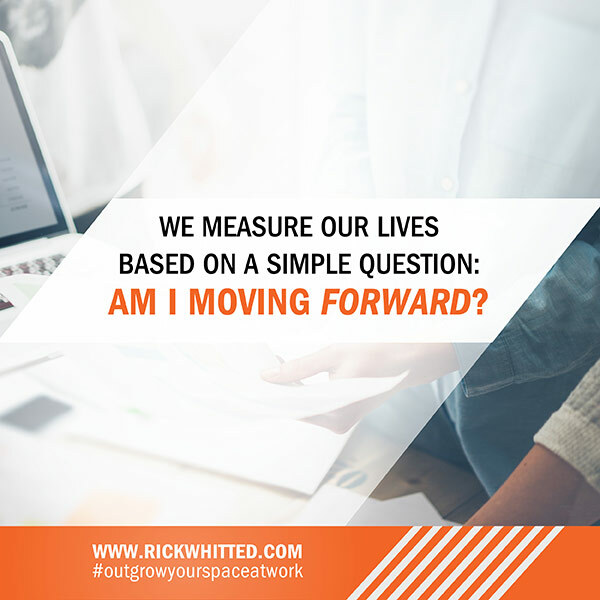 I was using it to answer the most important question we ask ourselves: Is my life moving forward? I would say the reasons I worked were to provide for my family, earn a living, create stability, and support those that mattered most to me personally. Yet, work itself became the biggest threat and temptation from what I cherished most. The further I progressed along my career path, the things I “worked for” became less important than “the work” itself. My kids could see it, my wife could feel it, and deep inside, I knew it. But, I never paused to question it. For the most part, we don’t do this on purpose. But, at times, we can get in such a blind career pursuit that we don’t stop to ask a most important question: what is a promotion to me? Whether you are in a corporate work environment or a stay-at-home parent, not knowing the answer to this question can cause a huge career mistake—making a career decision without considering what you value most. This is as natural as breathing. But, as we rarely take moments to consider the magnitude of being able to take our next breath; neither do we question whether or not that next increase in title, position or paycheck is something we should get emotionally worked up about. First you must be aware that YOU ARE USING CAREER PROGRESSION AS A MEASURE FOR WHERE YOU ARE IN LIFE. And, others are measuring you this way as well. But you are not the sum of where you are in your career. What about the relationships most significant to you? Or, the impact you have on the lives of those you do life with. There are so many other things that make the routine of your existence valuable. And you know it. So, stop to consider them. Next, don’t beat yourself up about it. The truth is, I’m not telling you anything you don’t already know, or haven’t already felt. From birth our society, culture, and families have trained us to believe that a trophy should come with our accomplishments. As we become working adults, the most obvious medal tends to be a promotion. This is as natural as breathing. And like so, although we know this is going on; rarely do we stop to consider the next breath. Thirdly, figure out (or reacquaint yourself with) your life values. In other words, what would keep your heart beating if everything else were lost. For me it is my relationship with my wife, children, parents and my brothers. It is the ability to make them smile, or to positively affect the lives of those around me. To better know your core values, visit www.careerwhitt.com and take the values assessment. I’ve found that your life values and your career values are the same. The “next level” for your career, from a values perspective, may not be a bigger title, more money or expanded responsibilities. It may be job flexibility, scheduling, being considered a key player on the team, trusting those you work with, or finding meaning in the work you do. When you can align of your values to your career decisions, you will not only be successful at work. You will thrive!